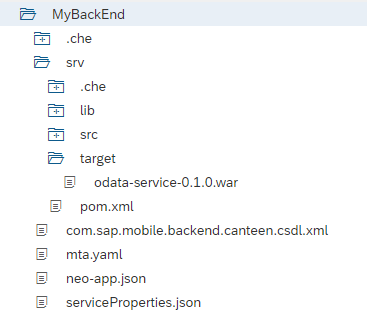 In my last blog (here) I introduced the Mobile OData Service Generator, a feature in the Mobile Development Kit plugin for SAP Web IDE that generates a full fledged OData service for you based on a CSDL. You need a place to store the data of your solution and to make it more easily to understand let’s assume you want to build a mobile canteen menu application for your peers. 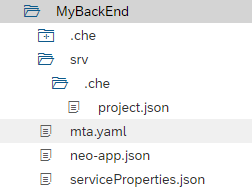 Now you can create a new project by choosing File > Project from Template. 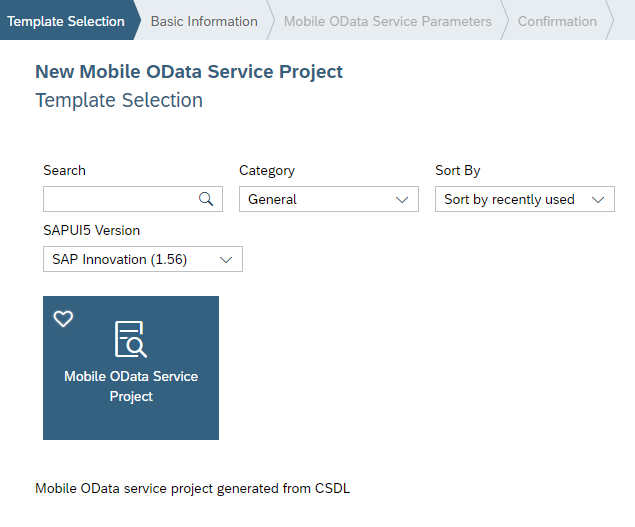 In the list of project templates, select Category “All categories” as a filter and select the “Mobile OData Service Project”. For demonstration purposes we go the easiest way possible – choosing inMemory, so you can just type in a project name like “MyBackEnd” in the first step of the wizard dialog popping up. These information are being used to generate the Java classes that will make your service. If you don’t know what CSDL is all about, you should NOT read this. Keep focused on the task before you and save that link for later. 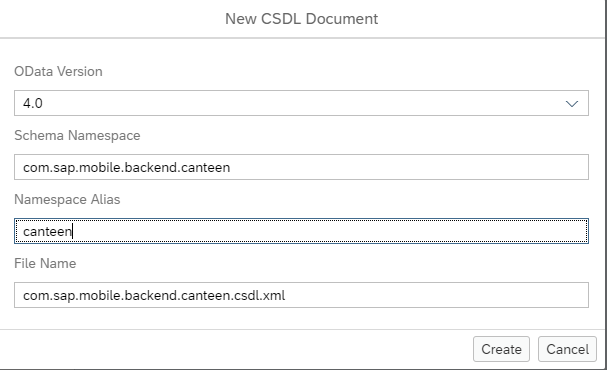 Just double click on the csdl.xml file to open a graphical editor that let’s you design your service. 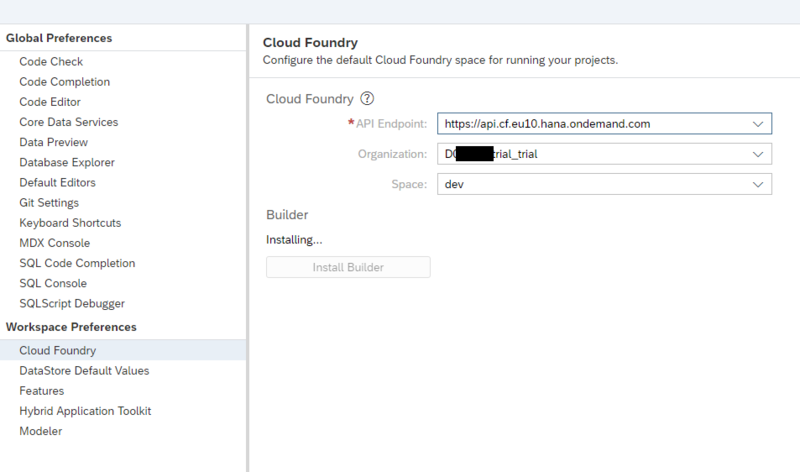 The next step would be to compile the Java project, but before you can do that you need an SAP Cloud Foundry trial, then go back to SAP WebIDE preferences and add your CF account details as seen below. Please click the “Install Builder” button. Don’t forget to “Save” the changes in this dialog at the bottom of the screen! This concludes the service generation and the scope of the tool. Everything that follows is standard SAP Cloud Platform behavior. 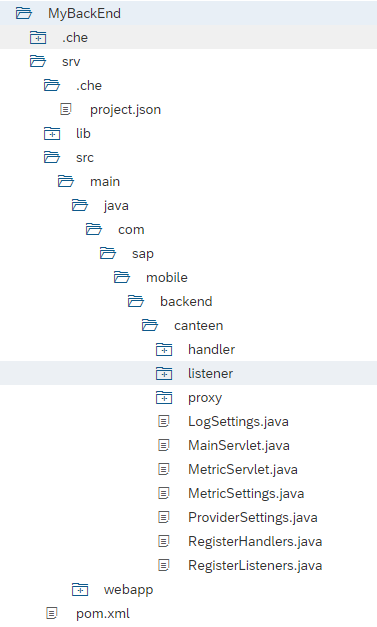 Now we will export the war and bring it into our SAP Cloud Platform Cockpit and run it as a Java Application in our trial landscape. So in your Cockpit, choose Java Applications, then “Deploy Application” button to upload our .war file. After deploying the war, start the app. 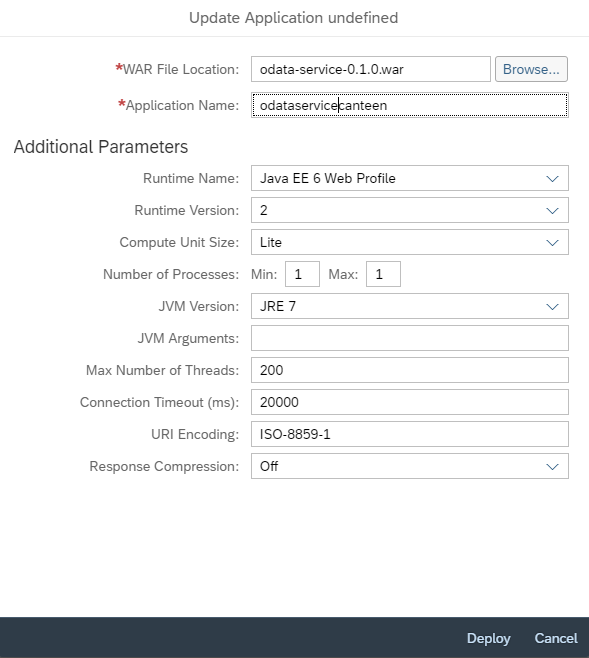 Once the service started, you can assign the “ServiceUser” role to yourself and open the service in your browser under https://odataservicecanteed0XXXXXXtrial.hanatrial.ondemand.com/odata-service-0.1.0, where XXXXXX is your trial account name. 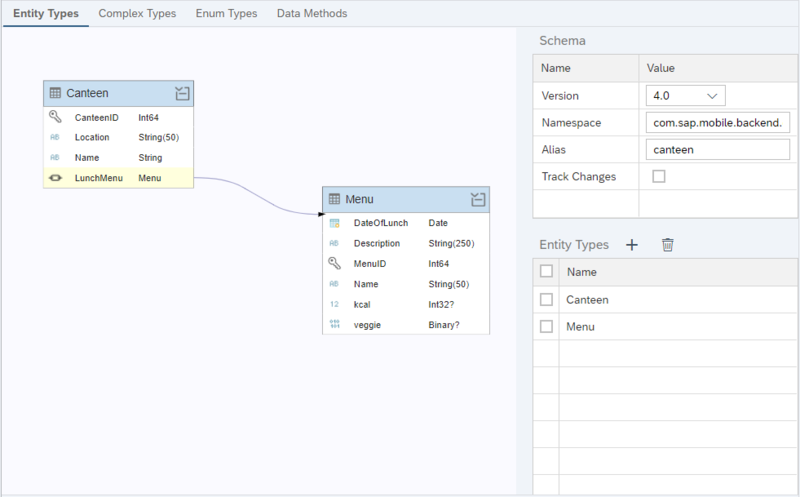 What you see is your freshly created service, which fully supports all OData operations (CRUD) as well as OData features like, filter, select. It even serves the data as OData v2 and v4 simultaneously, just like the client demands it! I admit that it looks quite complicated, but if you look at the steps I performed for achieving this, there was not a single line of code involved and I used a graphical modelling approach to create an OData service. 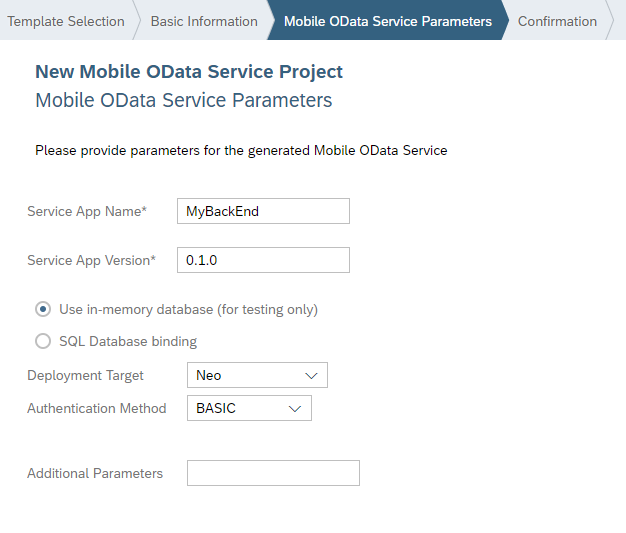 Next step would be to create either an mobile app with SAP Mobile Cards, SAP Cloud Platform SDK for iOS or SAP Cloud Platform SDK for Android on top of this OData service. But these topics will be covered by other blogs in the future. More information can be found in our docs. I hope you enjoyed our newest addition to the SAP Cloud Platform Mobile Service feature set. Is this feature available in productive environments? We do have an account with the Mobile Services service and the MDK feature enabled but I can’t see the Mobile OData Service Project template. I can see it in my trial account. This feature is not yet available in productive environments. Stay tuned. Do the generated OData services have default create, update and delete operations or do we have to implement them (and how)? Yes we implement the default create, update and delete. You can add code extensions to the generated code to add your own logic to create and updates (e.g. some business rules) or to implement actions/function imports. Also, we allow delta enabling the service, without any custom code required. I followed your webinar ‘Create Full-Fledged OData Service for Mobile Apps’ on december 2018 and I have a question. You had initialized you Odata service with some data. For that you had modified the ‘DataLoader.java’ could you explain me how to do because I want to do the same thing with my hown Odata.